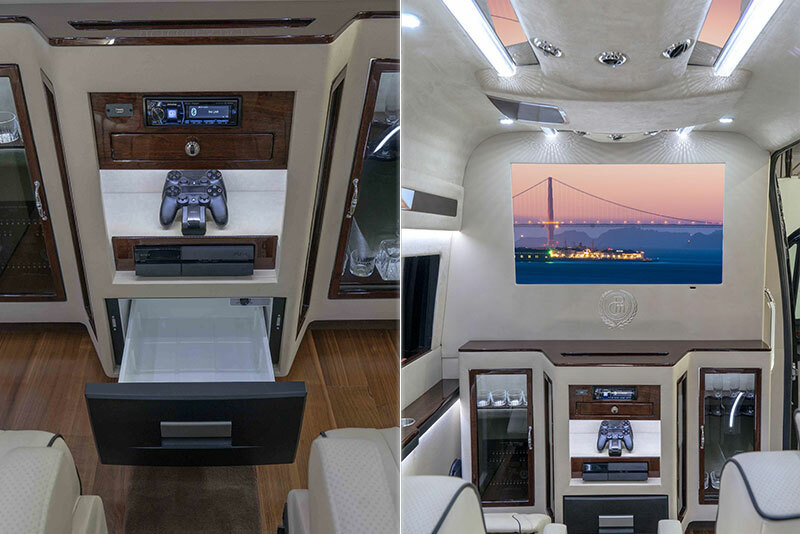 This Mercedes Sprinter package exudes luxury. It’s built on a 144 wheel base which makes it easier to maneuver and park, but with nothing left out. 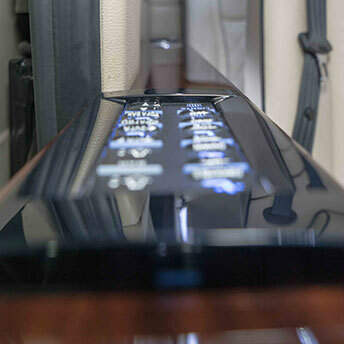 The Diplomat Mercedes Sprinter has a 40” television that slides down into the wall with a flip of the switch, hardwood floors, piano finished cherry wood top rails and trim, and a beautiful hard wood fold out table. 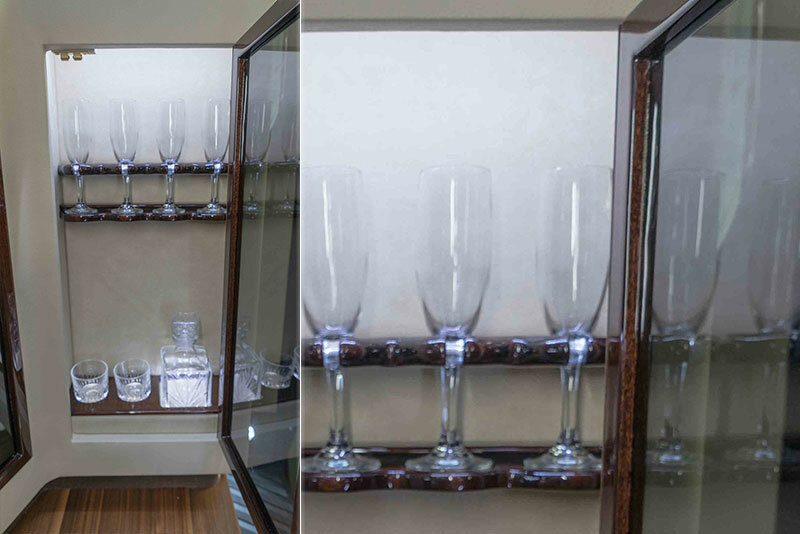 In the Diplomat package you can serve cocktails from the bar, while listening to your favorite music playing through surround sound. And while you are entertaining, keep the kids busy with the built-in Sony PlayStation. This Mercedes Sprinter leaves nothing out! 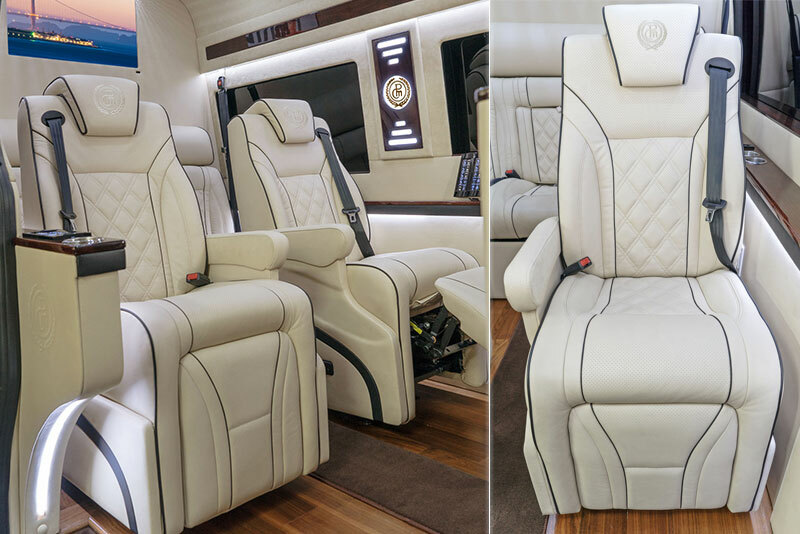 This Mercedes-Benz package has the upmost comfort. 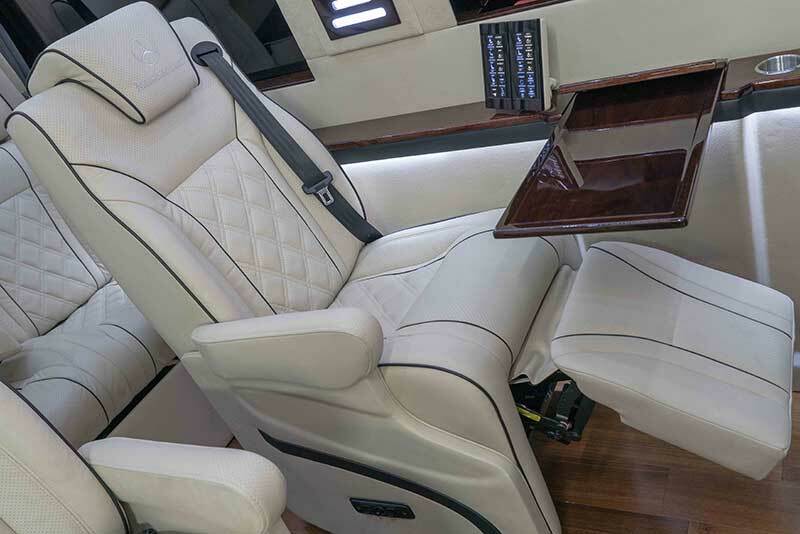 With luxuriously roomy Captain’s Chairs that are beautifully diamond stitched that includes power foot rests, massage, and heating… The Diplomat package can make your commute just as comfortable as sitting in your own living room. 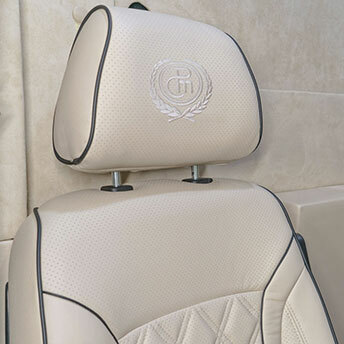 Every detail is paid attention to on the Diplomat. 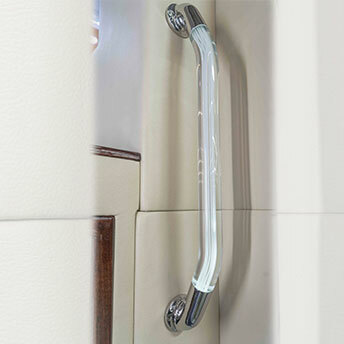 You’ll find only the finest craftsmanship on this Mercedes-Benz Sprinter down to the smallest details like the Power Assist Handle, electrical outlets and the cocktail cabinet. Control the brightness and the mood without leaving your chair. 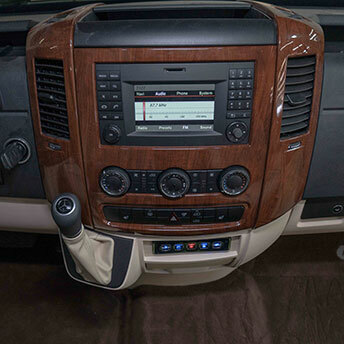 Cutting Edge Hydro-dipped wood grain matches the rest of the vehicle wood trim. Driver and passenger front seats match the rest of the seats in this Mercedes-Benz Sprinter. 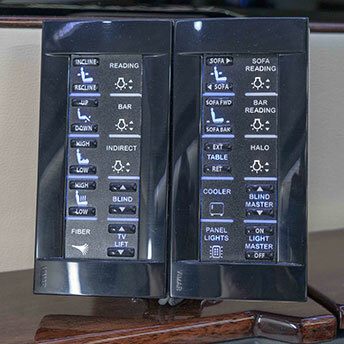 Control all of the cabin’s entertainment from the comfort of your seat. Beautifully designed. Attention to detail is spent down to the smallest items. 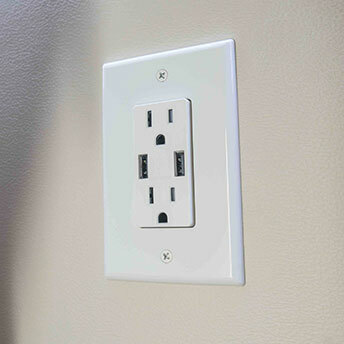 Plug in your laptop, charge your phone or use anything that need electricity.